Over 80% of Canadians give to charity each year. And starting in 2016, Canada Revenue Agency (CRA) sweetened the pot by providing further tax incentives. Yet many of us are under using these tax incentives. If we do some planning, and consider which assets we want to give, when and to whom, we can end up with more of a legacy to give now and through our estates, plus we can have the personal fulfillment of seeing our contributions at work, enriching our community. Tax incentives might excite a few of us, but for most, the desire to give comes first, and then we get a bit of a boost from the tax savings. Begin your planning with reflecting on your interests, concerns and values. Where would you like to lend a hand or create a legacy? Sometimes that might mean benefiting a specific charity, but often it might be a contribution to a charitable cause. Casting a wider net might give more flexibility to the organizations you care about to carry out your wishes. Consider Community Foundations or Donor Advised Funds. They are both well equipped to pool Donor resources to support charitable causes and will work with you to direct funds to causes dear to you. For charitable gifts made during your lifetime, you will receive a tax credit to reduce your tax payable by up to 54%. For Albertans, after your first $200 of donations, you receive a 50% tax credit on all donations. If your income is greater than $200,000, you get a 54% tax credit on all gifts you make from income over $200,000. These tax credits can be applied to a maximum of 75% of your income per year. If you leave charitable donations in your will, your estate gets the same 50% tax credit for donations over $200, and 54% on gifts from income over $200,000. The estate gets the tax credit when it makes the gift. And if the gift is made within 5 years of date of death, your estate can apply the tax credit to any of the following: the year when the gift was actually made, any prior estate year, or the last 2 taxation years of deceased’s life, to a maximum of 100% of the deceased’s income. The gift exceeds the maximum allowable tax credit. Stretch the gift out over a few years, perhaps even between life time gifts, and gifts made in the will. For estates, the gifts must be given to the charity within 5 years of date of death, or you lose the tax benefit. Five years might seem like plenty of time, but where a business must be sold, or there is estate litigation, 5 years can go by very quickly. Pick your personal representatives wisely and give them plenty of discretion and flexibility to maximize the tax savings. 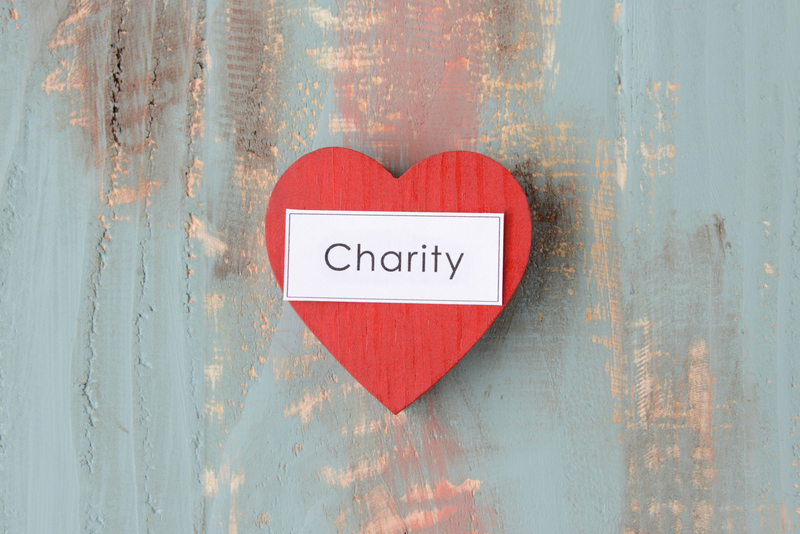 Naming a charity directly as the beneficiary of your RRSP or RRIF. Instead, name your spouse, and then leave the charity ‘an amount equivalent to’ your RRSP or RRIF. In this way your Personal Representative will have the flexibility to maximize the charitable giving benefits and the spousal rollover. The name of the charity. For example, there are at least ten St Mary’s Churches in Edmonton. Find out their exact name and consider giving your Personal Representatives the flexibility to give to similar causes of their choosing if the charity doesn’t exist. Moliere said that a man’s true wealth is the good that he does in this world. With some self reflection, good planning, and CRA’s incentives, we can enhance that ‘true wealth’, do a little tax dance, and see the pleasure and benefit it brings our world. Our Estates Solutions lawyers would be pleased to assist you in considering how and when charitable giving fits into your estate planning goals. We have extensive experience in helping clients customize their legacy wishes and welcome the opportunity to help you achieve your goals. Previous story Cannabis Legal Update Series – Where are we, where are we going, and how do we get there?